Synopsis plantarum 2 (1806) 226. 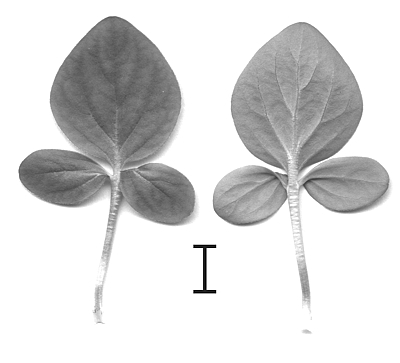 Leaves simple, sometimes compound with 2 or more lateral pinnae. Lamina 15-45 x 10-36 mm, ovate, base cuneate or truncate, margin entire. elliptic to cordate. Adaxially sparsely to densely hirsute with long appressed stiff hairs interspersed with glandular hairs, abaxially the indumentum varies from densely hirsute with appressed hairs to setose with with appressed hairs only along the larger veins. Stipules subulate, adnate to petioles for half their length, 5-10 mm. Scape 30-90 mm long, branched, with 2-3 pseudo-umbellets with 2-6(8) flowers each. Peduncles 50-120 mm long, covered with short glandular hairs interspersed with long and short soft patent hairs. Pedicel ~0.5 mm. 5, lanceolate, apices attenuate, 11-14 mm long, 1.5-3.5 mm wide, patent or recurved. 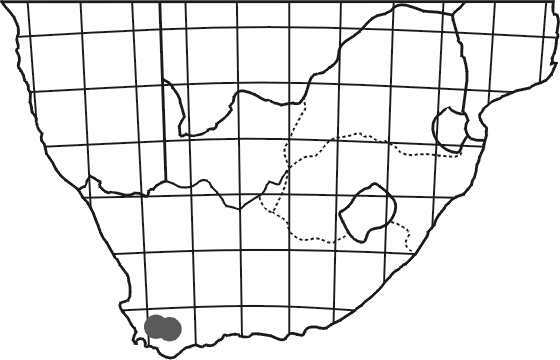 Hypanthium 30-62 mm. 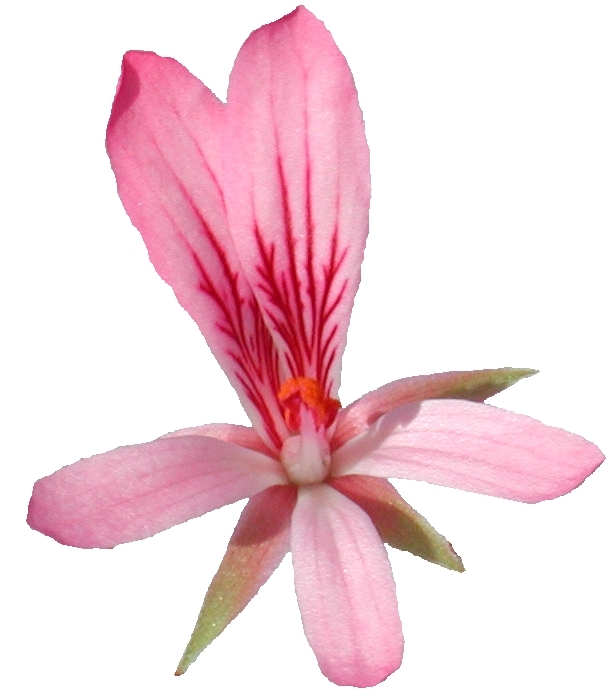 Petals pink or bright pink, pale yellow or cream coloured, posterior two with wine-red feather-like markings, obovate to widely obovate or obcordate, apices rounded, truncate or emarginate, 19-32 x 7.5-16.5 mm, anterior 16.5-30 x 5-12 mm. 5 fertile, posterior 8-11 mm, lateral two 9-14 mm, anterior two 11-17 mm. 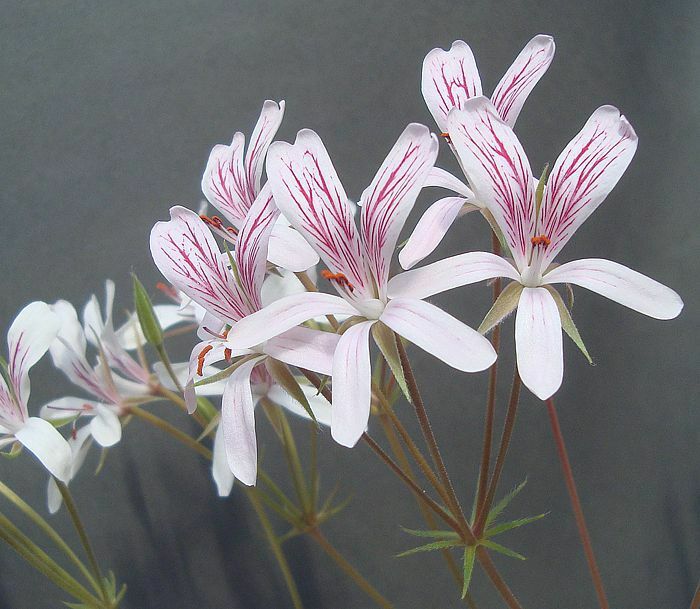 P. radiatum from S of Worcester have white petals with exuberant markings. 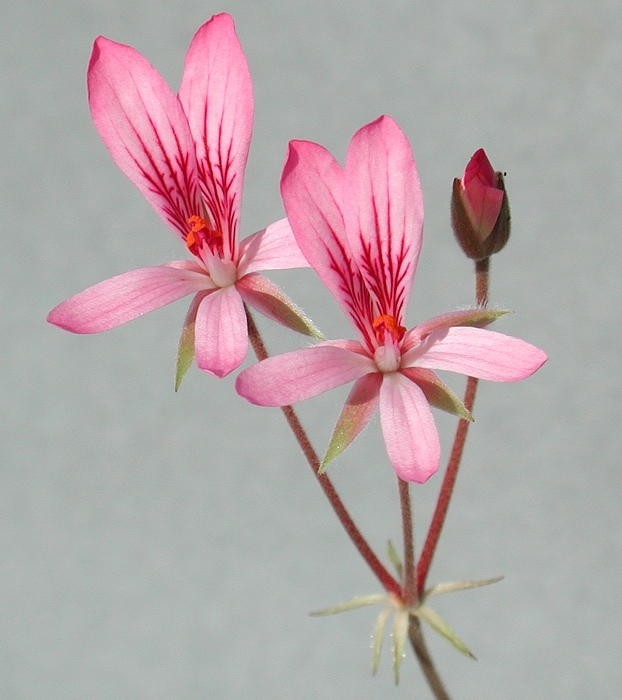 White is not a usual colour for this species, although some of the plants show a very faint pink hue. Flowers of the Badsberg plants are cream, the other typical flower colour of P. carneum. These are truly large and one of the most showy and extravagant ones amongst hoareas. 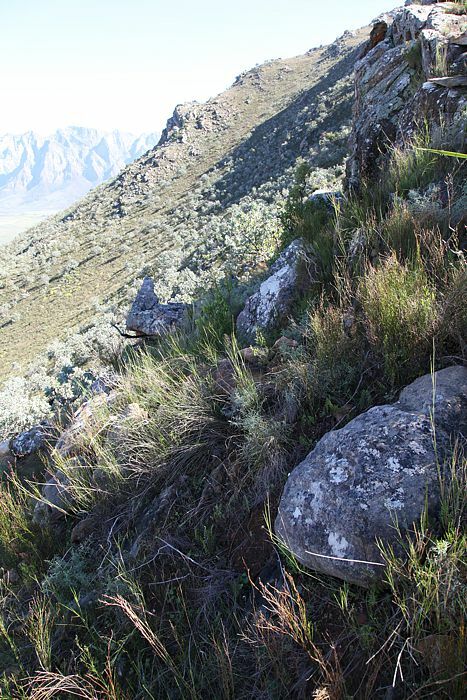 The steep Western slopes of Badsberg near Rawsonville are home to P. radiatum, where the plants grow at the very borderline between the rocky ridge and inaccessible grassy slopes. 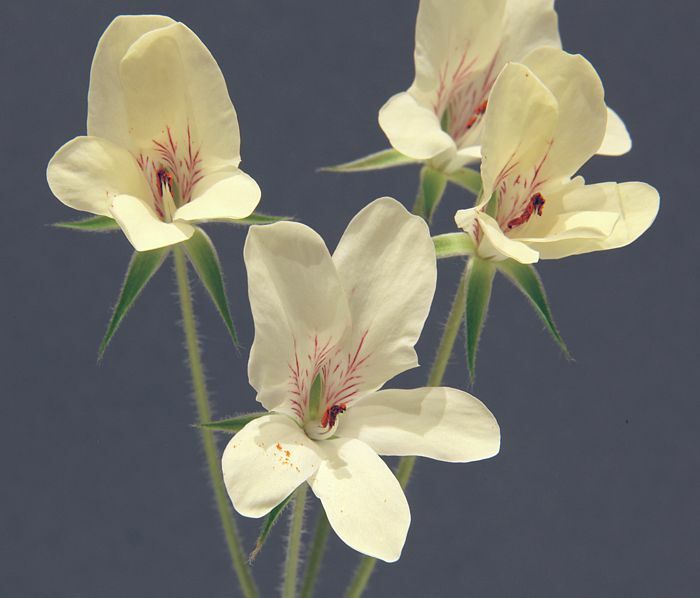 If there is one Hoarea that doesn't look a pelargonium when not in flower, it's probably this one, it could easily be mistaken for a member of the daisy family. 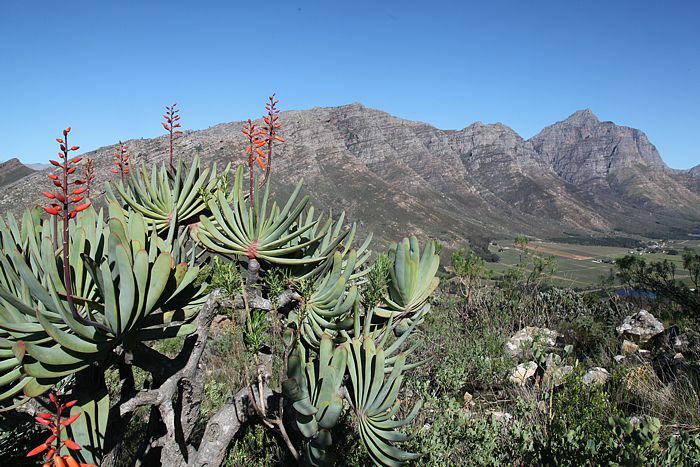 The top of Badsberg is home to a population of the beautiful Aloe plicatilis, here overlooking the Slanghoek mountain ridge. 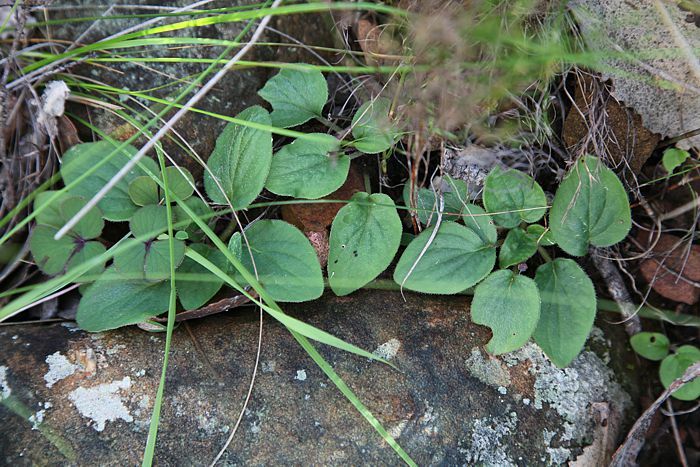 P. radiatum is mainly found on the slope surrounding Worcester, and occasionally in the valley as well, however, its distribution is pretty limited.